Sarah Nader - snader@shawmedia.com Contestant Anne Marie Kamps reacts after being announced as a top five finalist while competing in Tuesday's 2017 Miss McHenry County pageant in Woodstock August 1, 2017. Sarah Nader - snader@shawmedia.com Miss McHenry County contestant Winona Sullivan (center) cheers on another contestant while competing in Tuesday's 2017 Miss McHenry County pageant in Woodstock August 1, 2017. 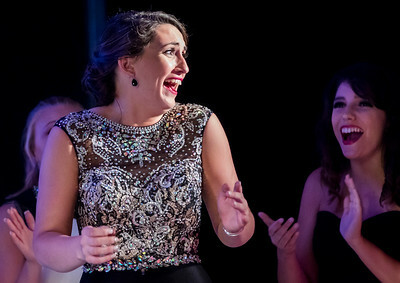 Sarah Nader - snader@shawmedia.com Contestant Elizabeth Gray reacts after being announced as a top five finalist while competing in Tuesday's 2017 Miss McHenry County pageant in Woodstock August 1, 2017. 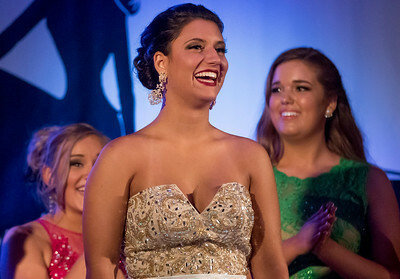 Sarah Nader - snader@shawmedia.com Contestant Grace Rodriguez reacts after being announced as a top five finalist while competing in Tuesday's 2017 Miss McHenry County pageant in Woodstock August 1, 2017. Sarah Nader - snader@shawmedia.com Sabrina Nolan of Huntley waits to go on stage while competing in Tuesday's 2017 Miss McHenry County pageant in Woodstock August 1, 2017. Sarah Nader - snader@shawmedia.com Contestants walk in their evening gowns while competing in Tuesday's 2017 Miss McHenry County pageant in Woodstock August 1, 2017. Sarah Nader - snader@shawmedia.com Contestant Madelyn Merryman answers a question after being announced as a top five finalist while competing in Tuesday's 2017 Miss McHenry County pageant in Woodstock August 1, 2017. Sarah Nader - snader@shawmedia.com Contestant Sabrina Nolan of Huntley reacts after being announced as a top five finalist while competing in Tuesday's 2017 Miss McHenry County pageant in Woodstock August 1, 2017. 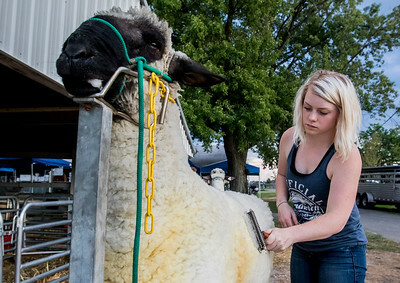 Sarah Nader - snader@shawmedia.com Sabrina Burton, 19, of Capron brushes her sheep during the 69th annual McHenry County Fair in Woodstock Tuesday, August 1, 2017. The fair runs from Tuesday, Aug. 1, through Sunday, Aug. 6. 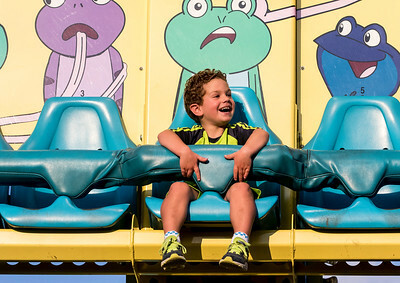 Sarah Nader - snader@shawmedia.com Derek Slinko, 4, of Woodstock rides a carnival ride during the 69th annual McHenry County Fair in Woodstock Tuesday, August 1, 2017. The fair runs from Tuesday, Aug. 1, through Sunday, Aug. 6. Sarah Nader - snader@shawmedia.com Colton Vanderstappen, 12, of Hebron washes his cow during the 69th annual McHenry County Fair in Woodstock Tuesday, August 1, 2017. The fair runs from Tuesday, Aug. 1, through Sunday, Aug. 6. 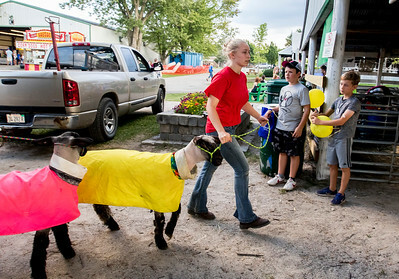 Sarah Nader - snader@shawmedia.com Tally Lalor, 16, of Hebron brings in her sheep during the 69th annual McHenry County Fair in Woodstock Tuesday, August 1, 2017. The fair runs from Tuesday, Aug. 1, through Sunday, Aug. 6. 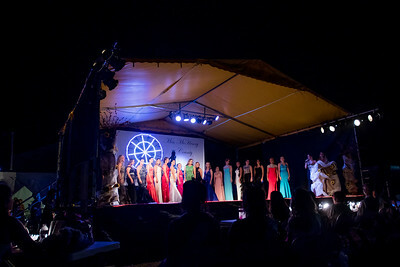 Contestants walk in their evening gowns while competing in Tuesday's 2017 Miss McHenry County pageant in Woodstock August 1, 2017.